Happy Quilting: Small Town Quilt Show In A Big Town Way!! 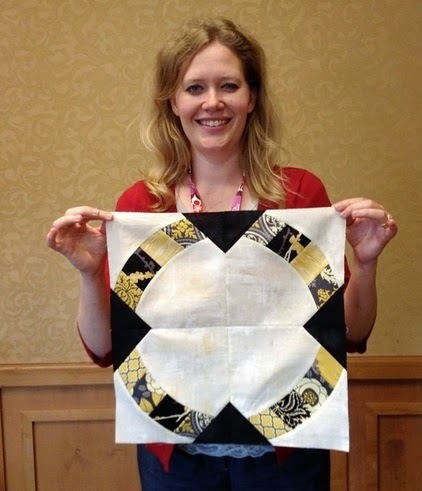 And Laura even finished her entire quilt top before the weekend was done. Isn't it so adorable. It is a gift for a sweet baby girl. So cute!! Friday night, Barbara and I headed over to open sew and I cranked out some major chain stitching on my Metro Hoops blocks. We sewed until 11:00 pm and then figured we should probably get a little sleep as I had to teach in the morning ;) But it was so much fun to just sit and sew with all of the gals there. We had a blast. Saturday morning was my Starburst class. And once again, these gals were just so incredible!! We had such a great time. The ladies all worked so hard and cranked out their first block and then a lot got some chain stitching done after that for future blocks ;) I love seeing all of the fabrics everyone chooses. Don't their blocks just look incredible!! I really do love teaching, it is one of my all time favorite parts of this industry. I just love to be able to share the passion I have for this part of my life. I love seeing people learn new techniques and watch the joy as it clicks. It is just wonderful!! Thanks again to the folks at Small Town Quilt Show for having me. It was such a fantastic weekend!!! Melissa, it looks as though you really enjoyed yourself, although when all was said and done, you were probably all worn out, but derived a lot of satisfaction from a job well done. Happy Anniversary, a day early. 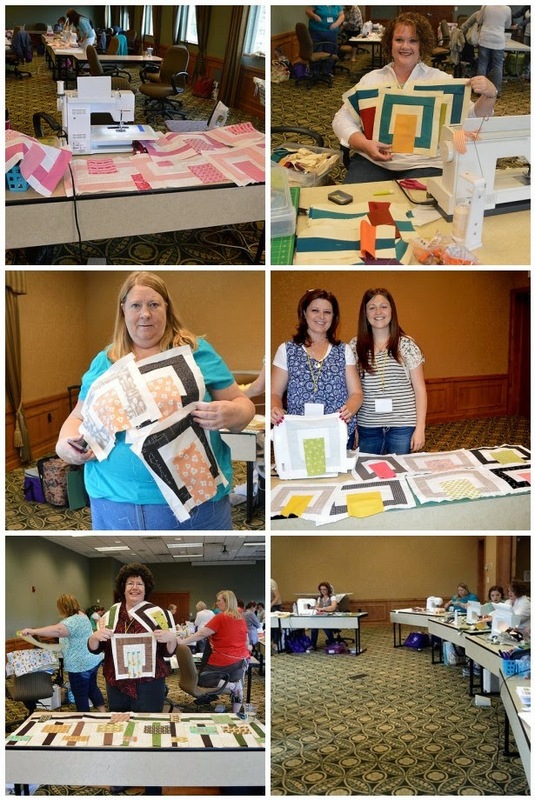 The classes you took and the class you taught look like sew much fun! I haven't taken a class in awhile and this post makes me want to sign up for some! Everyone looks like they are having a great time creating! I love the patterns you taught! Just what I need, another project! Thanks so much for coming Melissa!!!!! Maybe someday you will come and teach in my neighborhood. I would love to take one of your classes. I'm so glad I got to meet you. The Star Burst blocks look great, lots of pretty color combos. I wish I had brought my machine, I missed out on some of the fun. Fun post, glad it all went well! 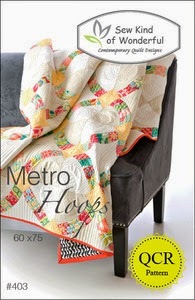 Your Metro Hoops quilt is going to be amazing!!! Isn't it a fun quilt to make?! I am glad your classes went well. It sure looks like everyone had fun! 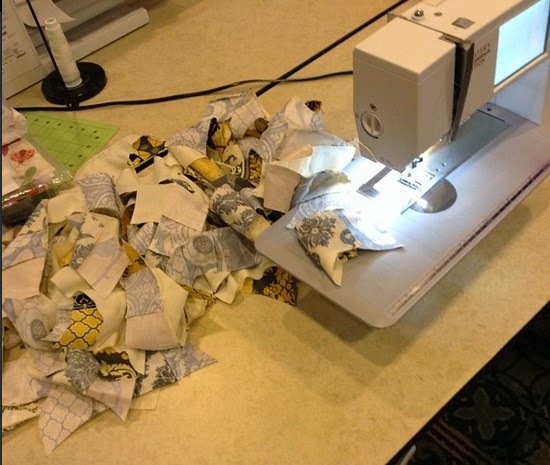 I'm doing that QCR quilt at the moment and I love it!!! :) So much fun! :) Talking to the SKOW ladies about a bloghop - are you interested? LOVE the star blocks! Reminds me of the Norwegian knitting star called "Selburose".